Born in 1863 in Loten, Edvard Munch is best known as being a Norwegian born, expressionist painter and printer. In the late 20th Century, he played a great role in German expressionism, and of the strong mental anguish that was displayed in many of the pieces that he created. 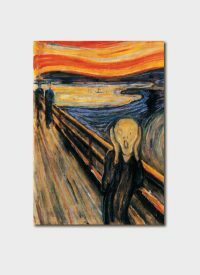 His painting ‘The Scream’ is one of the most recognisable work in the history of art.